Catherine Deneuve (born 22 October 1943) is a French actress. She ave worked with Buñuel and Roman Polanski. 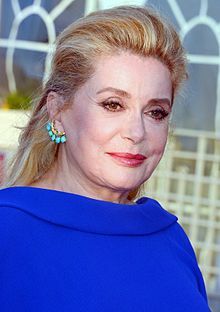 Deneuve has had relationships with director Roger Vadim and with actor Marcello Mastroianni. 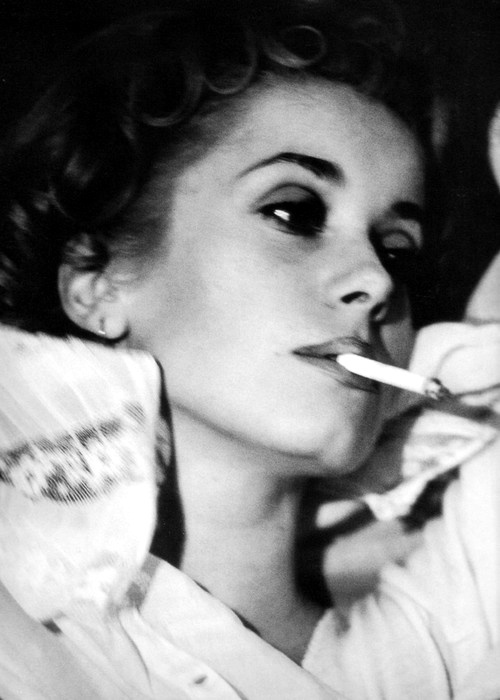 Deneuve first came to prominence in Jacques Demy's 1964 film Les Parapluies de Cherbourg , before going on to star for Polanski in Repulsion (1965) and for Buñuel in Belle de Jour (1967) and Tristana (1970) She has won two César Awards for Best Actress for her performances in François Truffaut's Le Dernier Métro (1980) and Régis Wargnier's Indochine (1992). She also received a Best Actress Academy Award nomination for Indochine and a Best Actress BAFTA Award nomination for Belle de Jour . Her other films include The Hunger (1983), Place Vendôme (1998), Dancer in the Dark (2000) and 8 Women (2002). In 2008, she appeared in her 100th film, Un conte de Noël .